This Camping Kitchen is a spacious, practical unit that lets you cook, clean and prepare food with ease. Instead of bending over a picnic table or squatting on the ground, you can stand comfortably - taking advantage of large work benches and cupboards. The top shelf is the perfect size for a hotplate or washing up tub, with a steel windshield to protect your sausages and steaks from the weather. 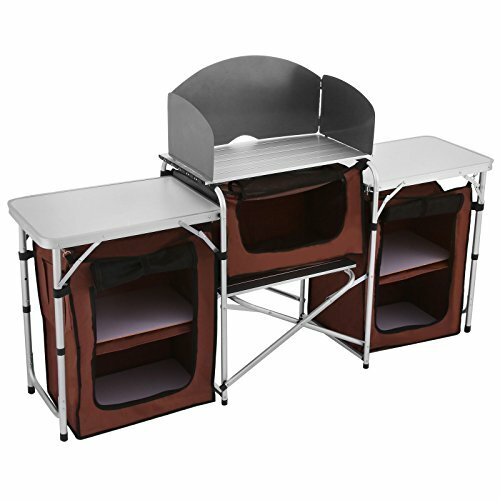 Camping Kitchen PACKING SIZE: 32.28"*23.62"*5.9"